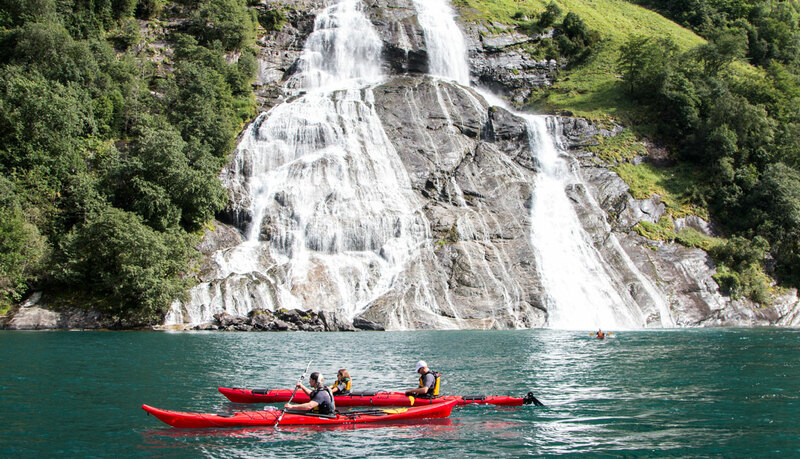 Welcome to our guided kayak tours in the UNESCO Geirangerfjord! 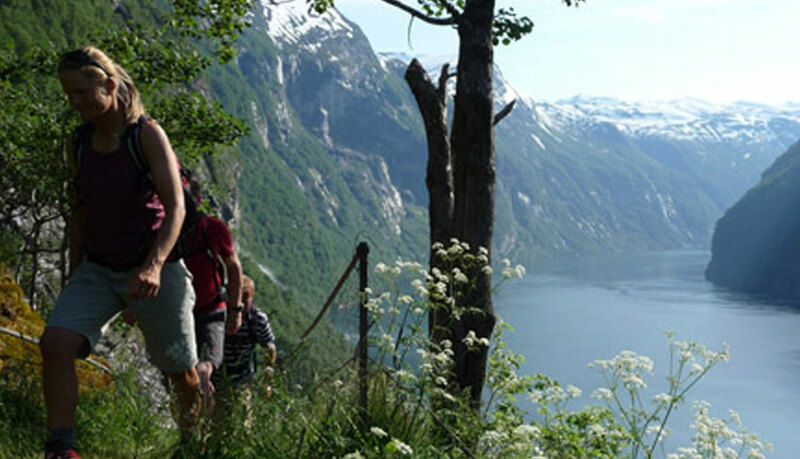 Our kayak base is situated 2 kilometers outside Geiranger at Homlong. 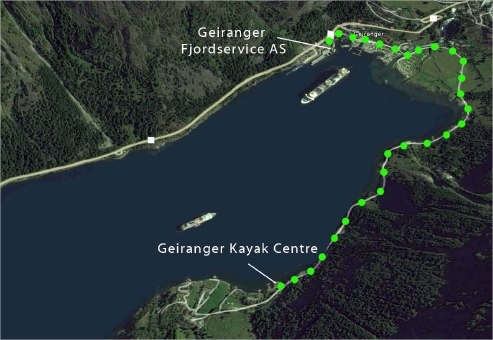 It is an easy drive along a gravel road or a 25 min walk along the fjord. 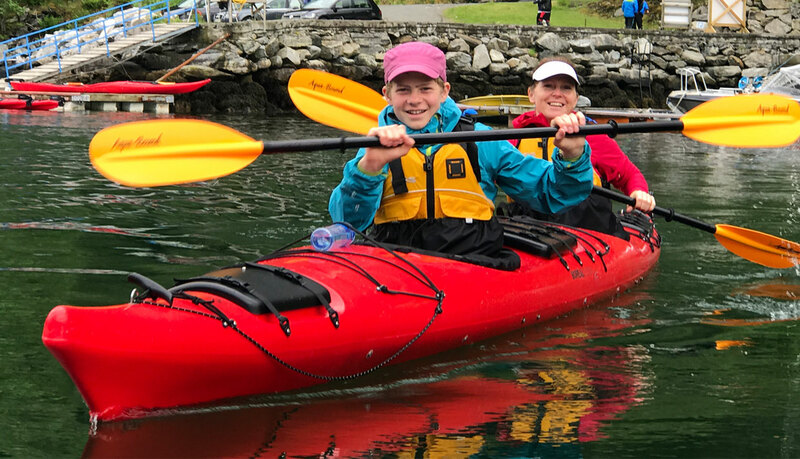 Feel welcome to rent a bike for free to reach the kayak center (please reserve in advance: booking@geirangerfjord.no). You can pick up the bikes at the ticket counter in the tourist information building in Geiranger. Count 15 min biking time from the center of Geiranger to Homlong. Homlong is a safe starting point for guided kayak tours and offers free parking. Please bring comfortable and weatherproof clothes and make sure you have enough drinks and some snacks with you. Your guide is taking care of you at all times during the tour. 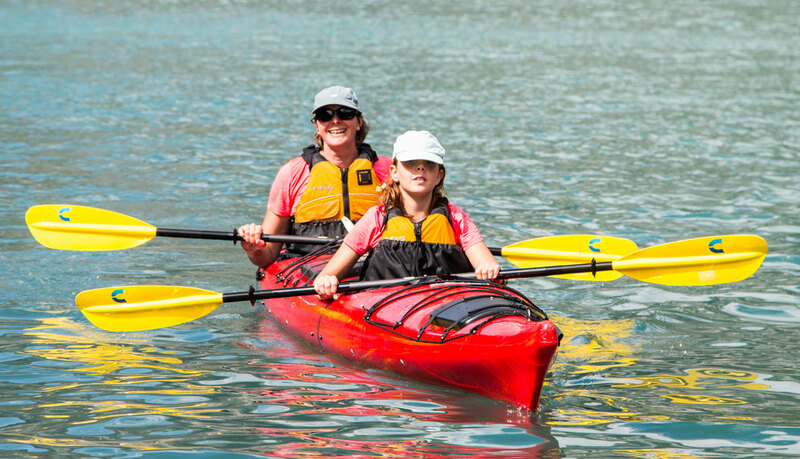 Apart from giving safety notes and explaining the correct paddle technique, they will provide you with interesting facts and stories about the Geirangerfjord and the people living there. Please be at the kayak base 15 min before the tour starts.